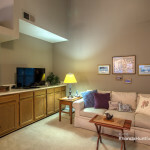 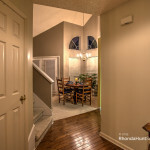 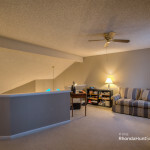 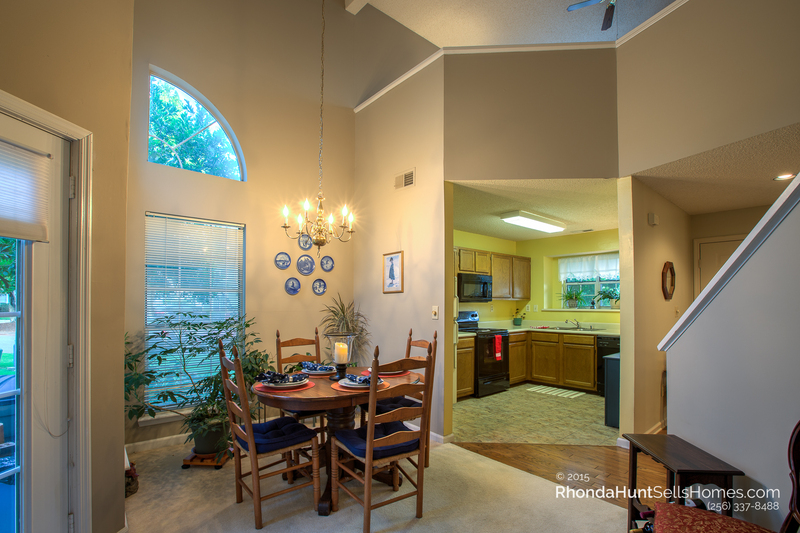 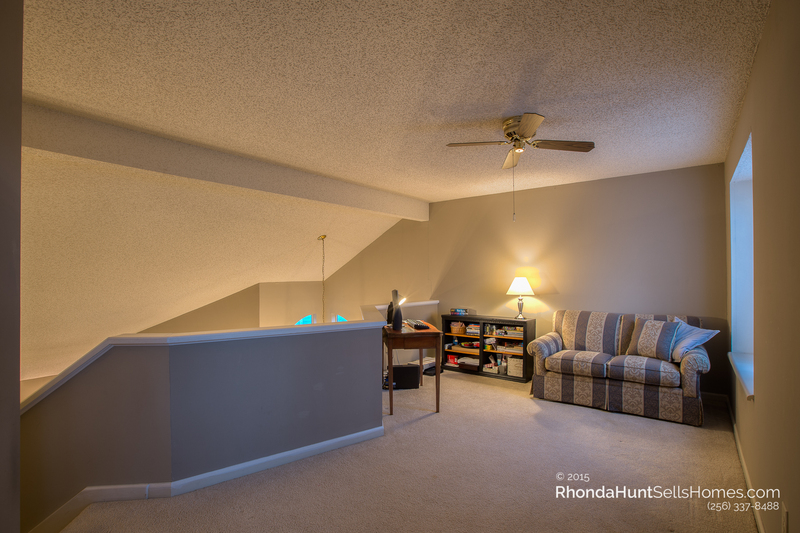 The vaulted ceilings, open floor plan and excellent layout make this two bedroom townhouse in Madison Towne Centre feel much larger than its approximately 1,460 square. 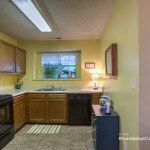 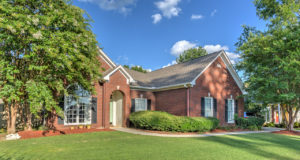 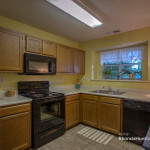 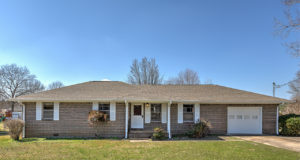 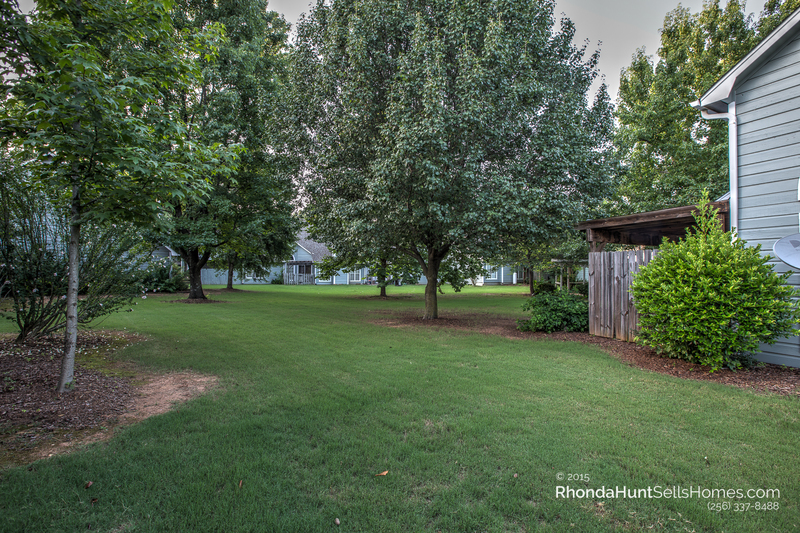 This well maintained home in the highly desirable Bob Jones School district is located right near Dublin Park. 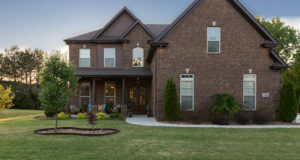 In addition to the Dublin Park amenities, the neighborhood also features two of its own swimming pools, a tennis court and community clubhouse. 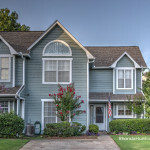 Enjoy the maintenance-free life, as the home owner’s association takes care of all exterior maintenance, lawn care, pest control, and even basic cable with group discounts. 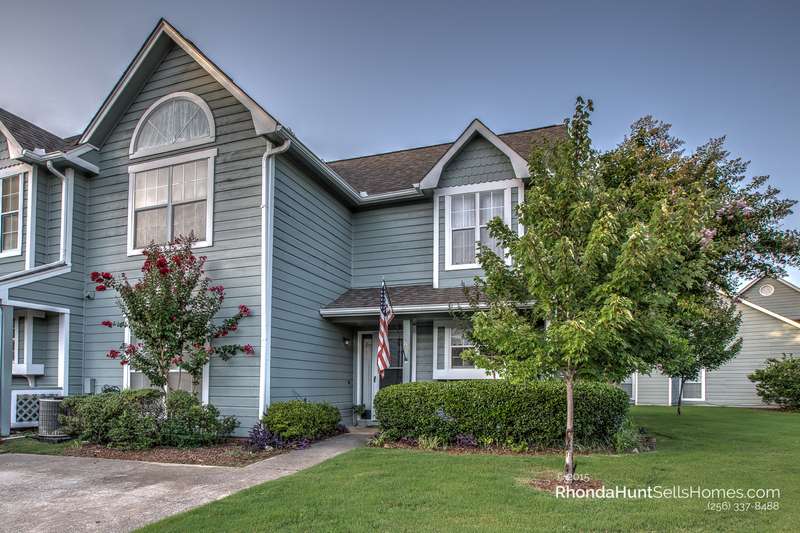 This is a great neighborhood for walking or jogging, and the decorative fountains and duck pond give the neighborhood a special charm. 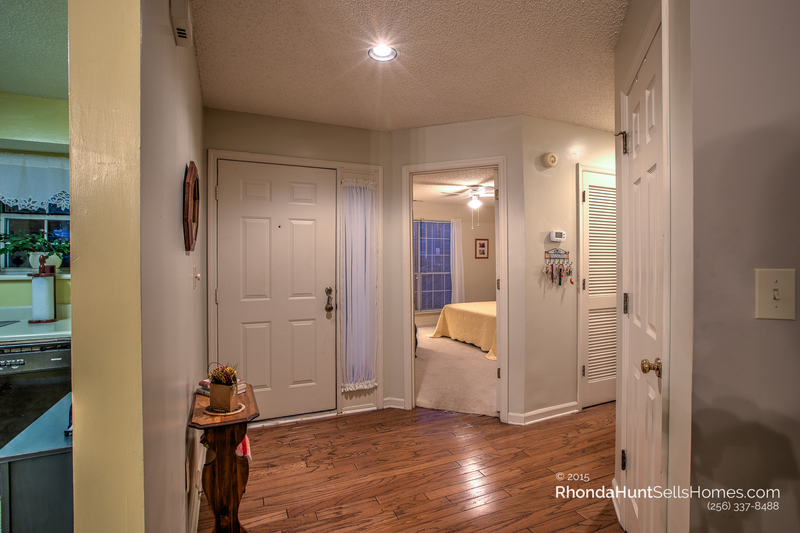 This townhouse is an end-unit, which means it’s much quieter than the average townhouse. 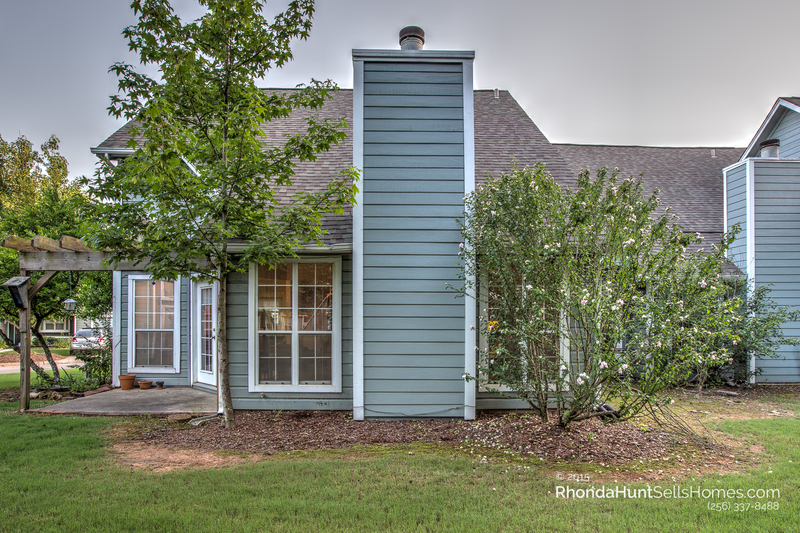 The den features a wet bar and a wood-burning fireplace, with a patio that opens up to a quiet interior courtyard of trees and grass. 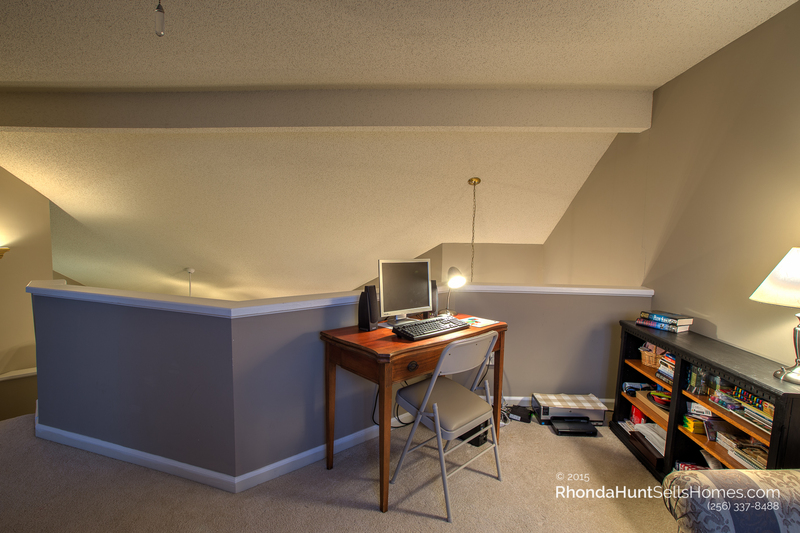 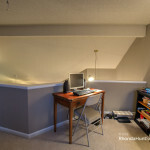 The loft area can be used as a study, a reading area or put to countless other uses. 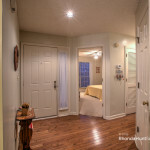 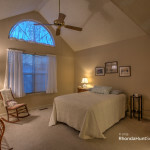 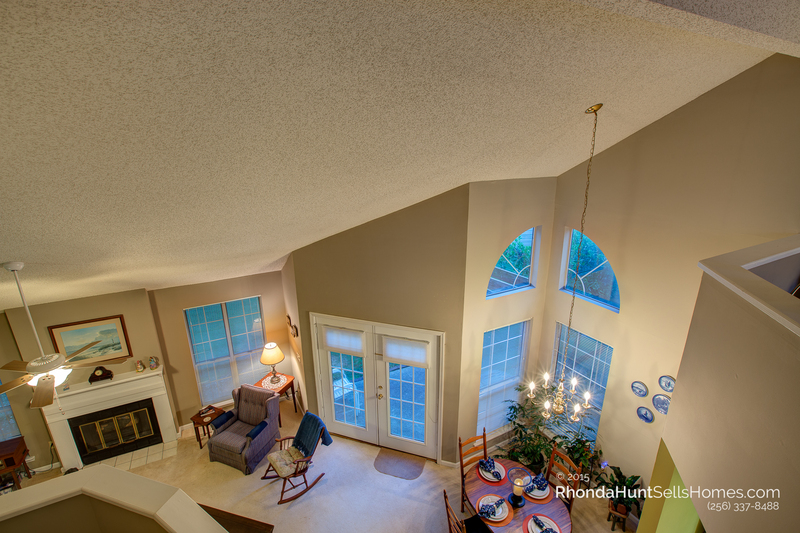 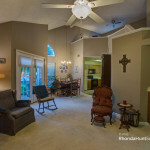 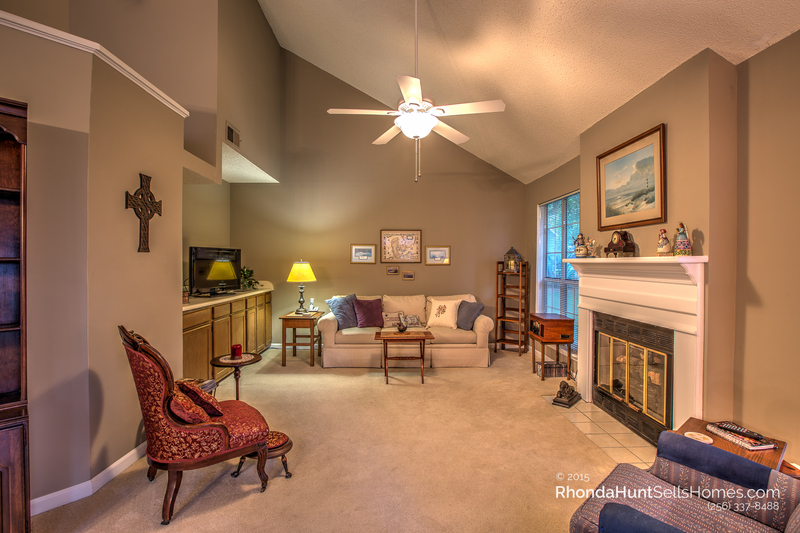 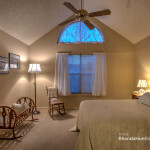 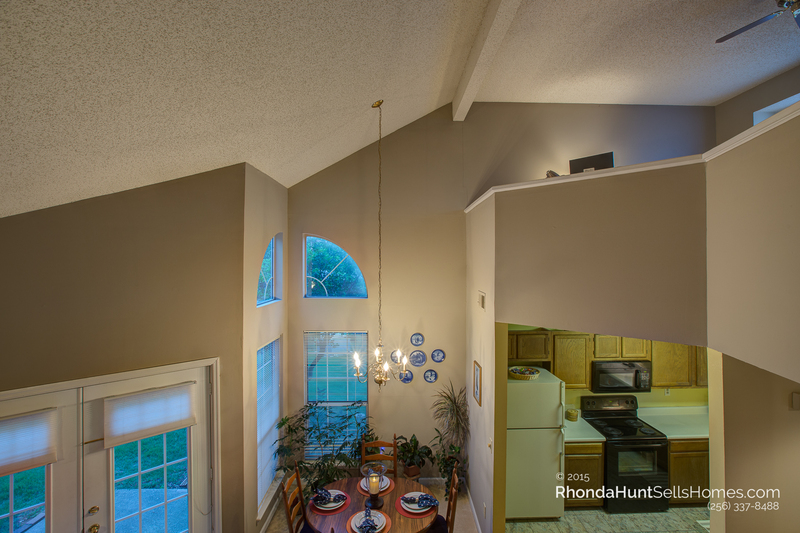 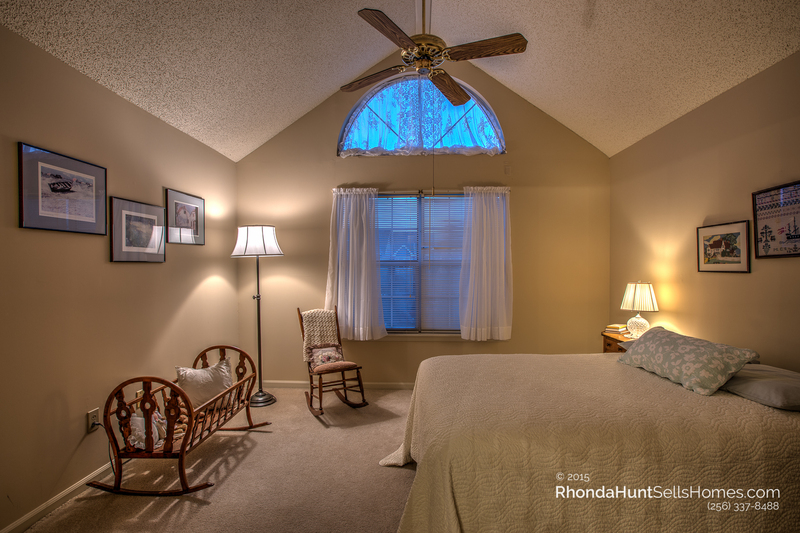 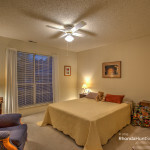 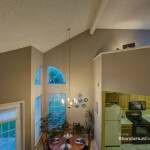 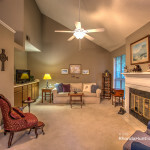 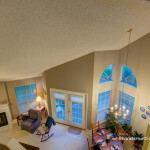 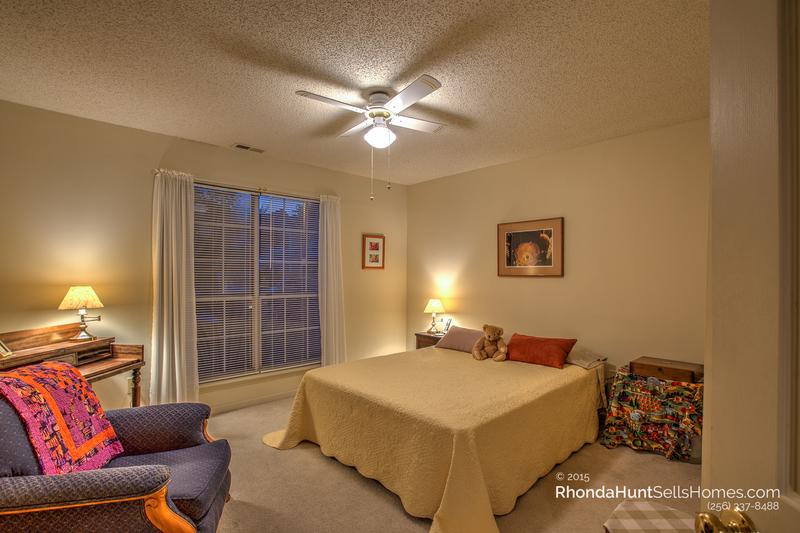 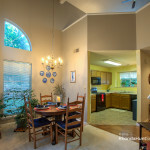 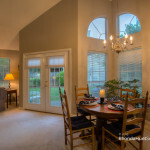 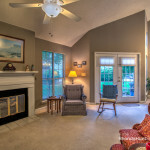 The master bedroom is huge, and features a high, vaulted ceiling. 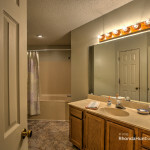 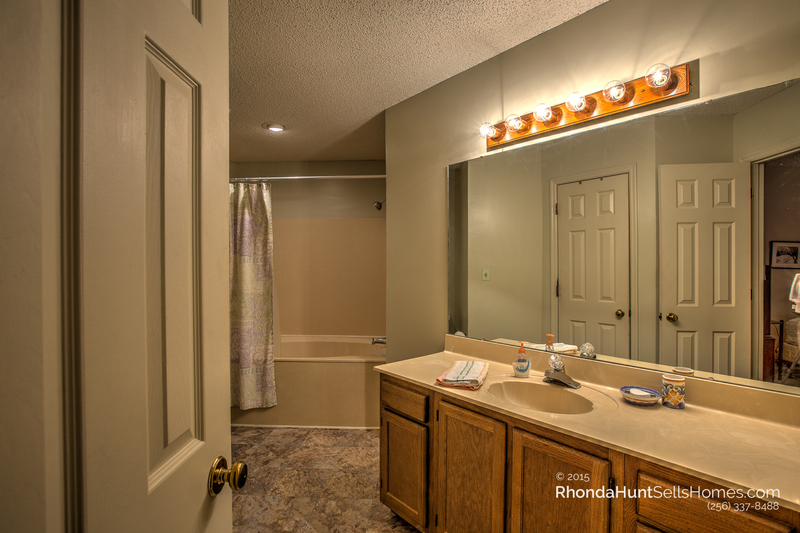 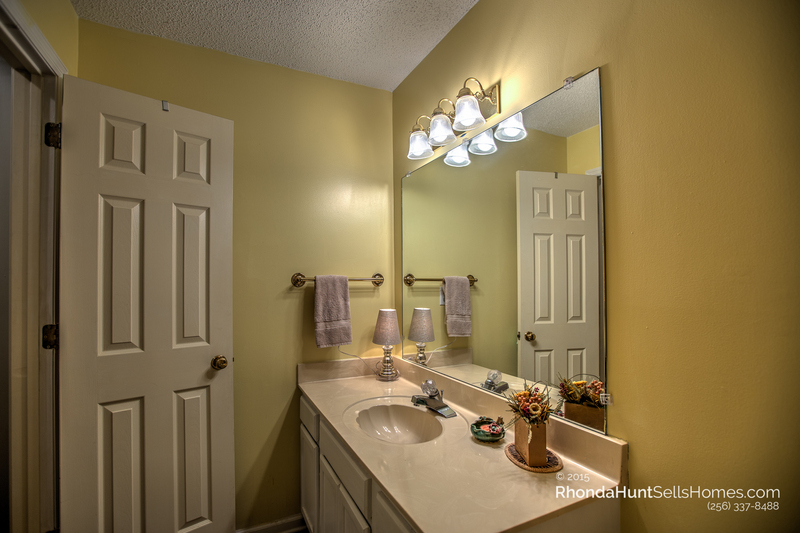 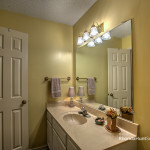 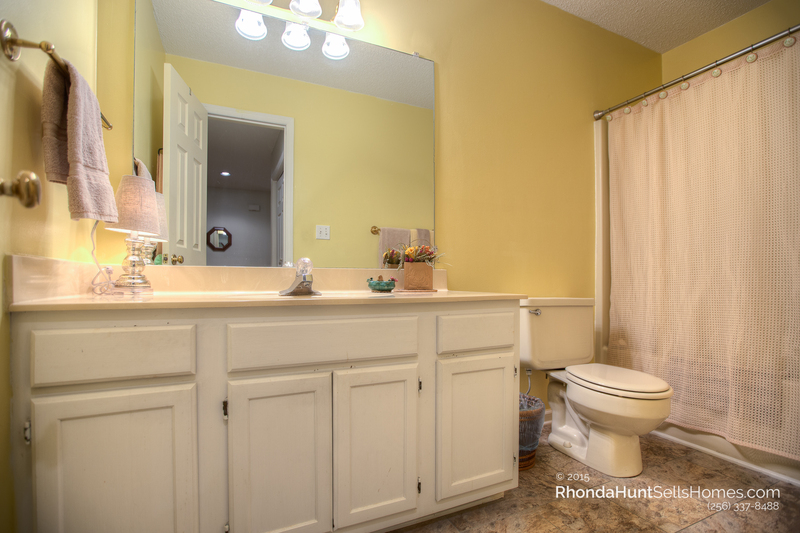 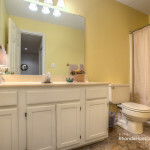 The master bath features a large whirlpool tub. 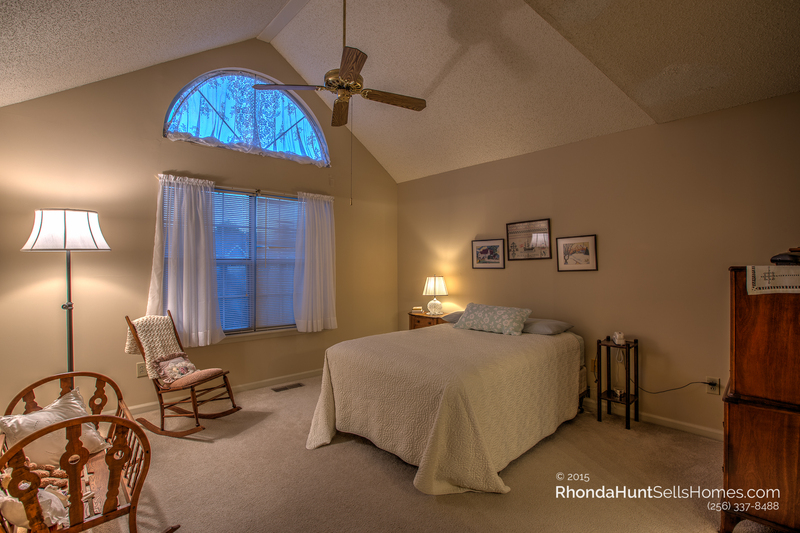 The second bedroom is adjacent to a second full bath. 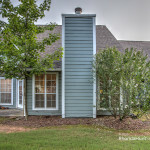 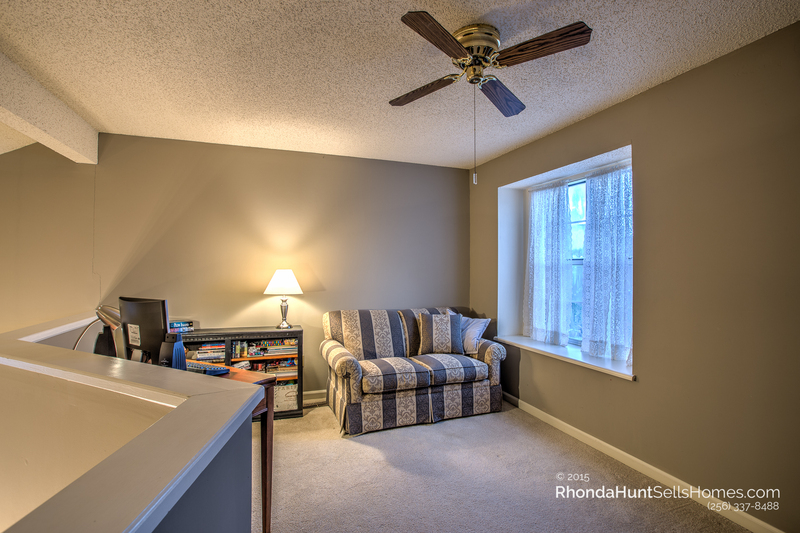 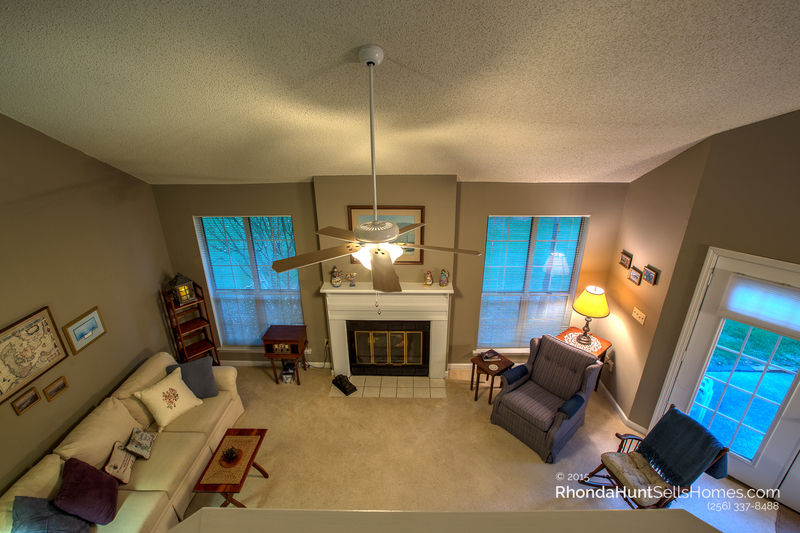 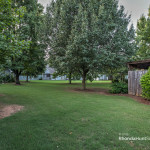 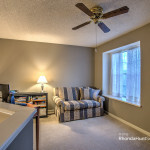 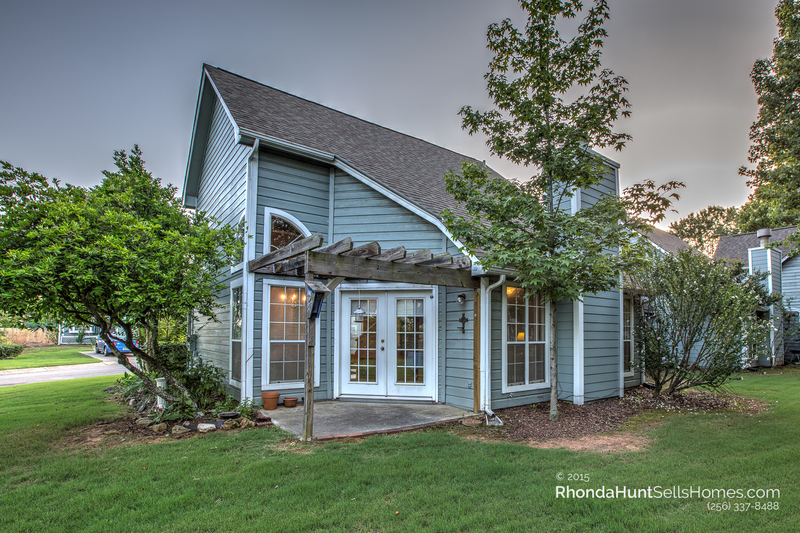 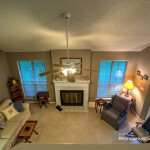 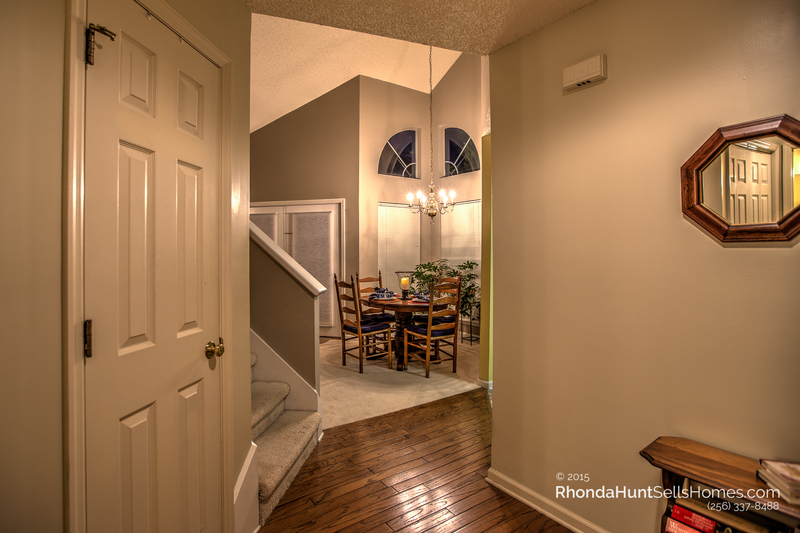 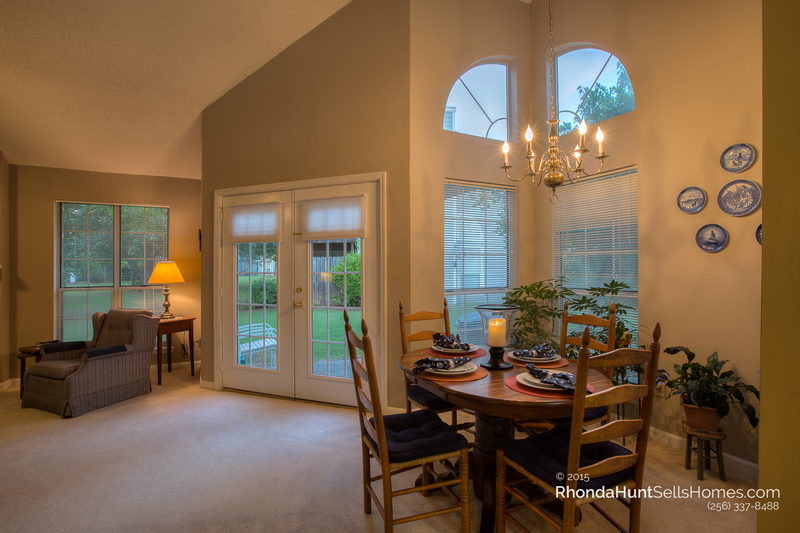 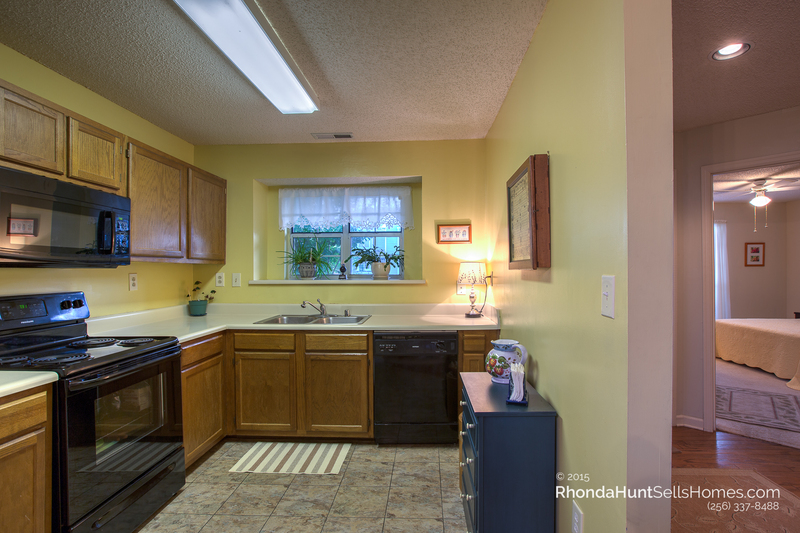 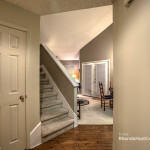 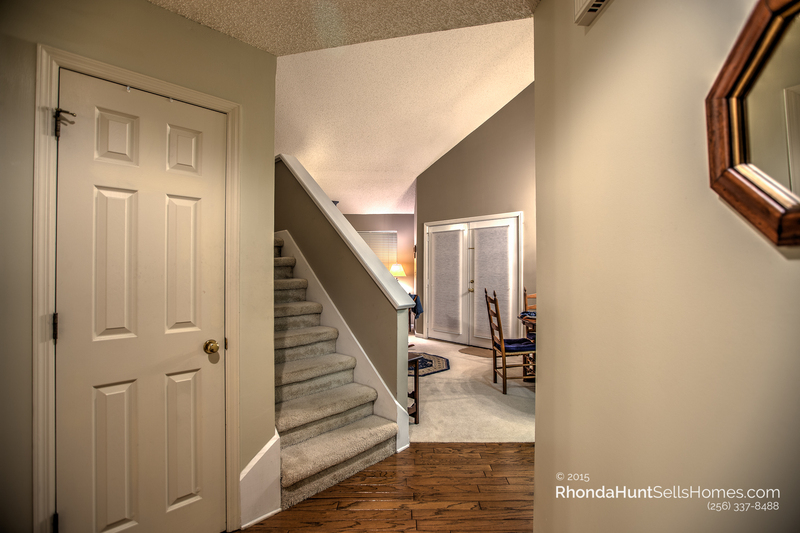 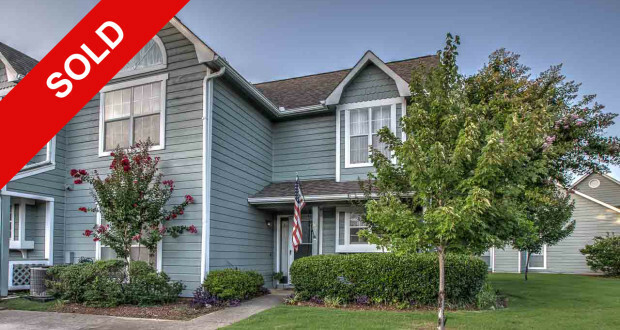 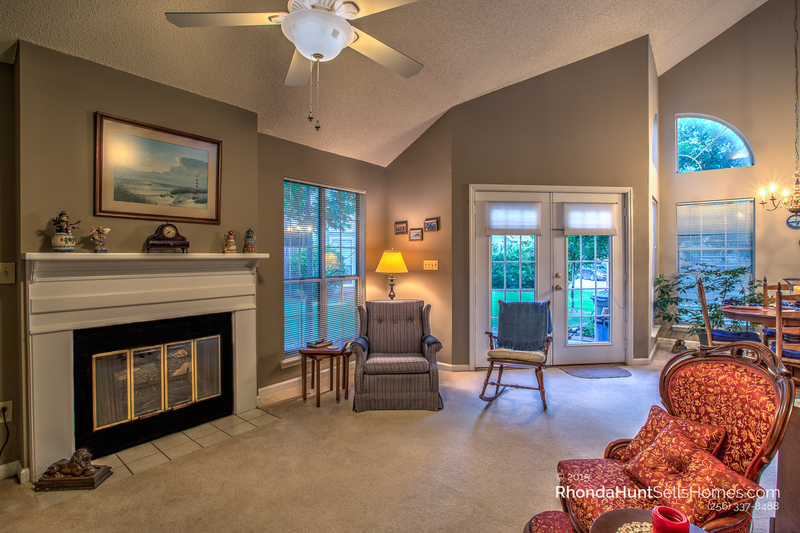 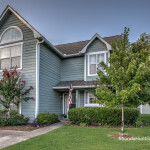 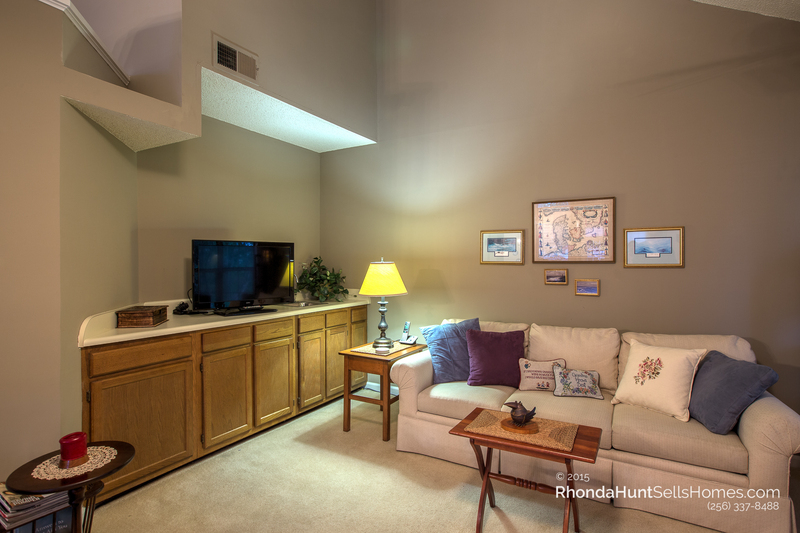 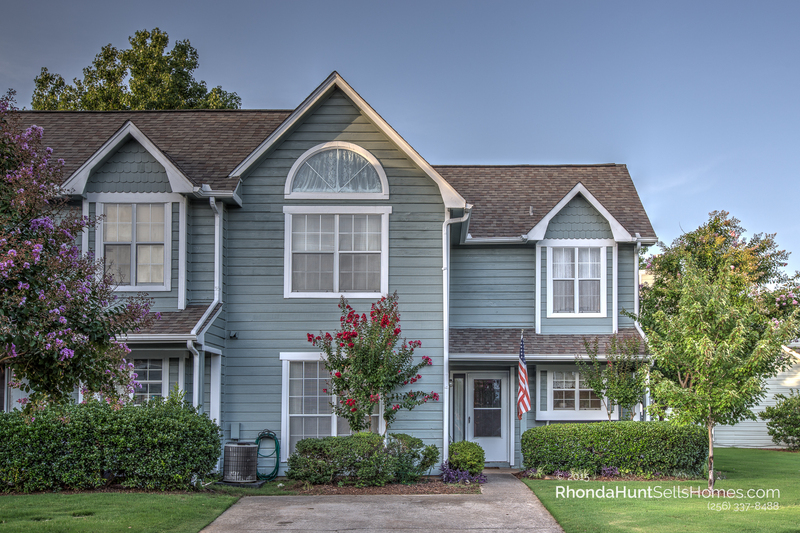 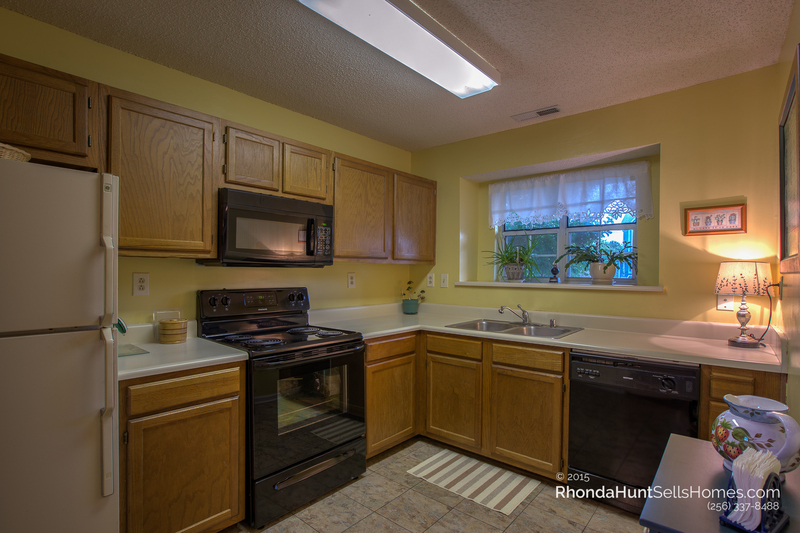 If you’re ready to live within walking distance of grocery shopping, drug stores, restaurants and parks and even city hall, come see this gorgeous townhouse in the heart of Madison, AL. 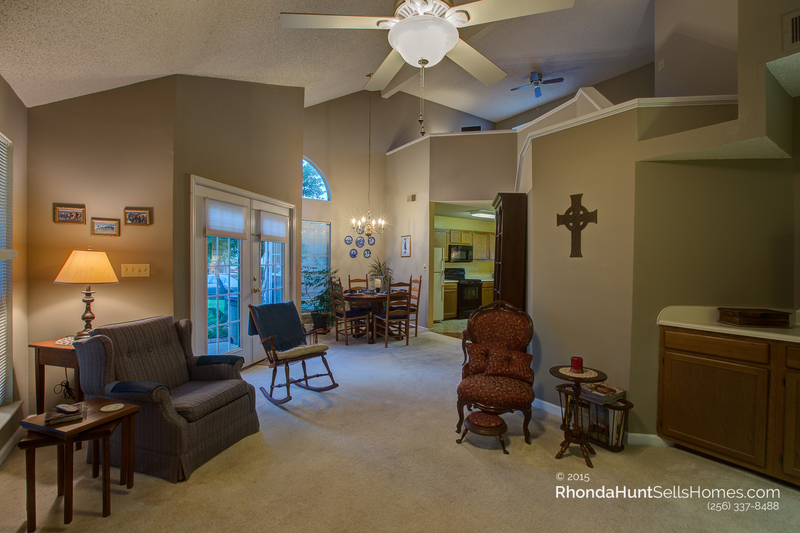 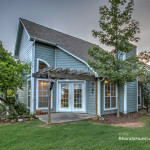 Click a photo below for high-resolution tour of this gorgeous home.